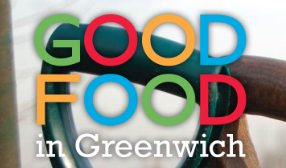 Good Food in Greenwich invite you to help formulate their response to the Mayor of London's draft London Food Strategy, and possibly to plan a food festival in the autumn. Click here for the draft strategy, which was released on the 15th May 2018 and aims at a better, healthier and fairer food system. If you can't come to the meeting, you can submit an individual response on this page.